Описание: УМК Cosmic – трехуровневый курс английского языка для средней школы (6-9 класс). Разработан издательством Pearson и соответствует уровням B1, Pre-Intermediate – B2, Upper-Intermediate по шкале CEFR. Креативное оформление и информационное содержимое линейки целиком отвечает интересам и стилю жизни современных старшеклассников. Начиная с первой страницы, Cosmic стремится задать интенсивный темп освоения учебного материала, с постоянной его отработкой в различных тестовых заданиях формата международных экзаменов. Коммуникация Cosmic основана на общении через веб-ссылки, блоги и развивающие игры, поэтому ученики легко осваиваются в знакомой среде. Практические задания построены таким образом, что позволяют своевременно выявлять пробелы в знаниях и совершать методичную работу над ошибками, постепенно приближая старшеклассников к конечной цели – успешной сдаче экзамена. 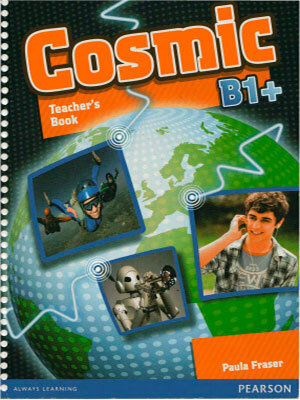 Cosmic is a three-level course for Bl, B1 Plus and B2 and has been specially written with the needs of today's teenage learners as a guiding factor. Throughout the series, the guiding aim is to achieve a pass in one or more of the various B2-level examinations. The Students'Books in the series are all attractively laid out and easy to navigate, both for students and for teachers. Unit topics have been carefully chosen so that they not only fit with the common topics used in the various exams but are also appropriate to the level and experience of the students. The use of bright, lively photographs, along with age-appropriate, up-to-date illustrations, serves to enhance the overall feel of the book and make it eye-catching and attractive. 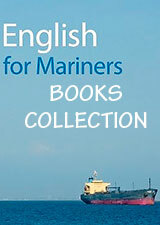 The Teacher's Book consists of full instructions for each of the Students' Book activities. An element of variation has been incorporated so that the same exercise type is not necessarily dealt with in exactly the same way every time, though when it best serves the needs of the students there are times when that is the case. As well as teaching suggestions, the Teacher's Book contains detailed answer keys. The answer keys include notes explaining the justification for the answers wherever this is appropriate. This is a key feature as it helps students to understand how they should go about certain exercises and where to look for justification for their answer choices. Helping them to develop these skills at this stage will stand them in good stead as they progress towards exams.